After praying, I thought: No matter what, the thing I was faced with came from God. I didn’t see those things spread online with my own eyes. I should not listen to one side or fear being deceived. God’s sheep will surely recognize God’s voice. I will have verification in my spirit if they are God’s words. I must give a careful investigation. Then I continued to read Almighty God’s words. Once, I came upon these words, “God become flesh is called Christ, and so the Christ that can give people the truth is called God. There is nothing excessive about this, for He possesses the substance of God, and possesses God’s disposition, and wisdom in His work, that are unattainable by man. Those who call themselves Christ, yet cannot do the work of God, are frauds. … for although they claim to be Christ, they possess none of the substance of Christ. And so I say that the authenticity of Christ cannot be defined by man, but is answered and decided by God Himself” (“Only Christ of the Last Days Can Give Man the Way of Eternal Life” in The Word Appears in the Flesh). “If, during the present day, there is to emerge a person who is able to display signs and wonders, and can cast out demons, and heal, and perform many miracles, and if this person claims that they are the coming of Jesus, then this would be the counterfeit of evil spirits, and their imitation of Jesus. Remember this! … Once each stage of His work has been completed, it is soon imitated by evil spirits, and after Satan begins to follow on the heels of God, God changes to a different method; once God has completed a stage of His work, it is imitated by evil spirits. You must be clear about these things” (“Knowing God’s Work Today” in The Word Appears in the Flesh). God’s words made me remember Brother Zheng’s fellowship about the discernment between the true Christ and false ones. Christ is the incarnate God, is God Himself. He can express the truth and God’s disposition, do the work of God and reveal the mysteries of God. Whereas false Christs are the brood of Satan that people are possessed by evil spirits and claim to be Christ. They can neither express the truth or God’s disposition nor do God’s work, much less reveal His mysteries. When false Christs appear, they can only imitate the work the Lord Jesus did in the past by performing some simple signs and wonders or healing and casting out demons. False Christs can’t change people but can only deceive them, making them become more and more darkened. I have gained discernment of false Christs. But there was something I couldn’t figure out. Rumors and false testimonies of blasphemy and condemnation of Almighty God swept through the internet. Many Christians on Facebook who were incapable of differentiating also followed the trend of speaking the words that judged, attacked and condemned Almighty God. God’s words are very good. Why did those people condemn them? 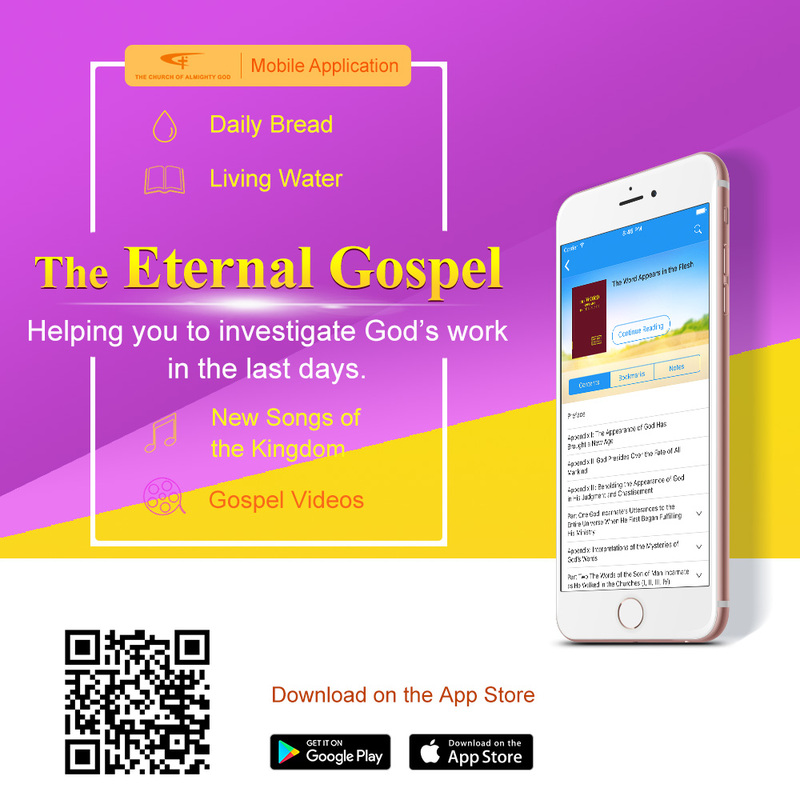 The official website of the Church of Almighty God has abundant truth in various aspects which is completely positive and is beneficial for man. However, why did those people speak the slanderous words of judgment at will? And why did they directly distort the truth and bear false witness without reading Almighty God’s words? These questions has been preying on my mind. I often held these questions in my thoughts as I prayed to God. One day, I was reading “Fellowship and Preaching About Life Entry” and came across this passage: “When God comes to do His work, corrupt mankind refuses to accept it, fabricating various rumors in their utmost efforts to judge, deny and slander God’s work. Countless rumors and stories are made up to slander and judge the name of Almighty God and His Church, with the result that all the religious believers are deluded and the true believers in God are hindered from coming before Him. This is the fact of corrupt mankind resisting God. When God became flesh for the first time, He came to Judea, where believers in Judaism all believed in God. But after God incarnate began to do His work, all these believers condemned and resisted His work frenziedly. To what extent? They nailed the Lord Jesus to the cross alive. They would rather have a criminal released than not crucify Jesus. Seeing that God incarnate could express the truth to save mankind, they strongly opposed Him. They welcomed a criminal more than Christ. Such was the deed of a religious group, which represents the whole corrupt mankind’s resistance against God. Does man, corrupted by Satan, have any conscience and sense? They even crucified the Creator—the most lovely God who expressed the truth to save mankind. They racked their brains to fabricate various rumors and lies to deceive people, and they even tried to instigate the whole mankind to reject the work of God and expel the coming God. This is a typical case of corrupt mankind resisting God. Doesn’t the whole corrupt mankind treat God with the same attitude now? They do their utmost to resist, condemn, and expel God, and will not give up until they put God to death. They do not allow God to exist in the world.” Only after reading these words did I realize that man has been too deeply corrupted by Satan that he has lost conscience and sense. Man doesn’t love the truth, the positive things, nor does he welcome the coming of God, completely living under the domain of Satan and becoming the accomplices of Satan. Facing with the arrival of God, he doesn’t seek or investigate it but instead speaks flippantly by judging and condemning it at will and does his utmost to banish God’s coming. Just as the Bible says, “And the light shines in darkness; and the darkness comprehended it not” (John 1:5), “This is an evil generation” (Luck 11:29), and “the whole world lies in wickedness” (1 John 5:19). Thank God for leading me to seek the truth. I have understood how to distinguish the true Christ from the false ones and seen through to the essence of those people who didn’t investigate the truth but crafted rumors and bore false witnesses. Thank God for keeping me from being deceived so that I could come before Him. From that time on, I live in the Church of Almighty God, a large family, gather in fellowship and perform duties with my brothers and sisters. We spare no effort in seeking the truth under the provision and watering of Almighty God’s words. We fellowship with each other about our experiences and knowledge. I am willing to open up to fellowship when I meet with difficulties and they help me by communicating God’s words, which makes me feel that brothers and sisters love each other like family without bias. I truly have enjoyed the happiness and sweetness I had never felt before, living with peace and joy every day. 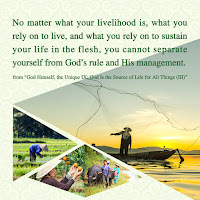 I am willing to consecrate my individual portion to God’s work in the last days so as to find the lost lambs which belong to God and fulfill my duty as one of God’s creations to satisfy Him, no longer whiling away my days but living a meaningful life to honor and be witness to God. Amen!